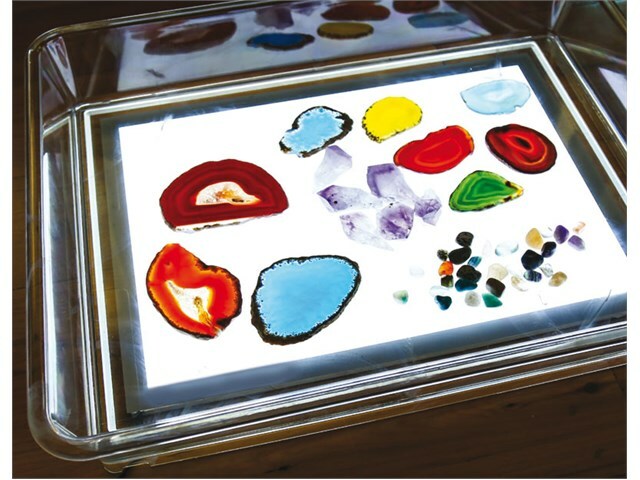 A large sized art tray with an A3 ultra bright light panel with rounded edges included. 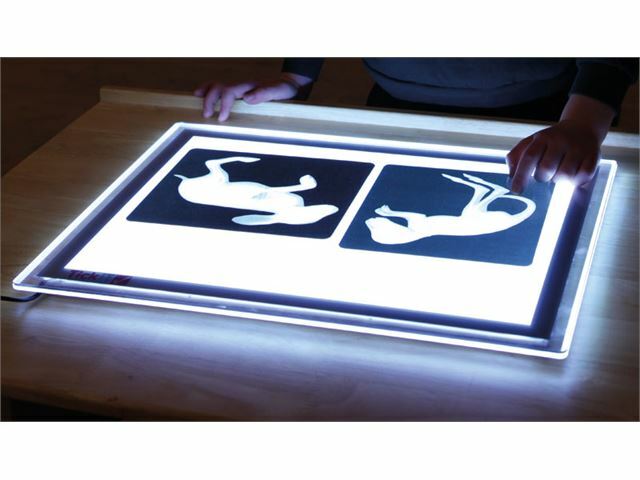 The A3 panel uses low energy LED strip technology to provide a clean bright illuminated background which works well with transparent and translucent objects, It comes with a safe low voltage power supply and the life expectancy of the LEDs is up to 50,000 hours. 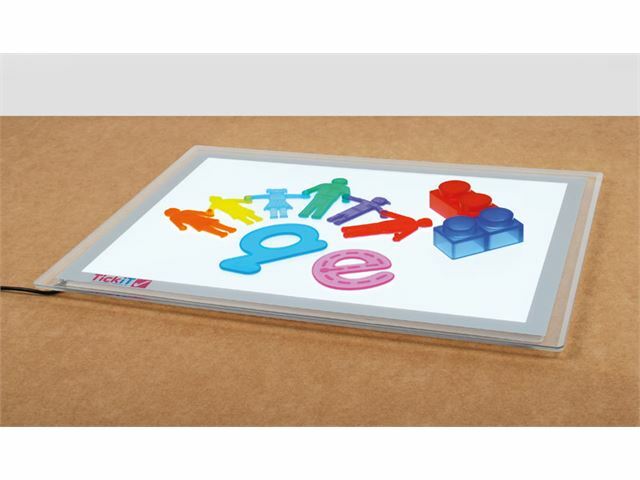 The Art Tray is made from clear robust polycarbonate. 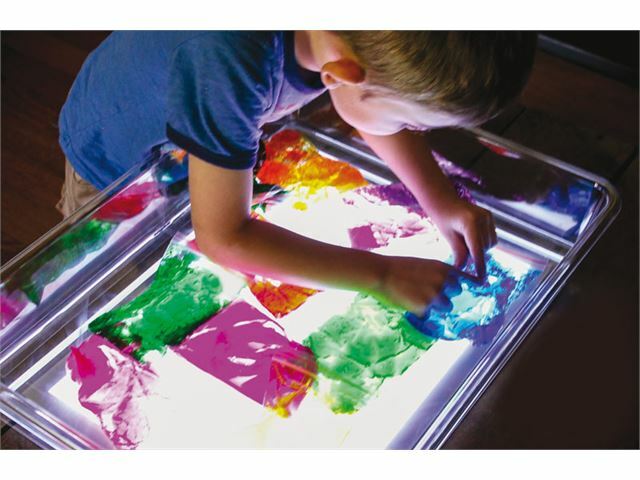 Users will enjoy the light panel effect when making patterns, drawing or painting to create interesting textures and effects. 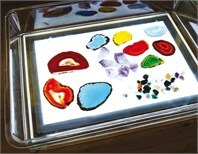 Dimensions: Tray; 56.5cm x 44cm x 10cm and A3 Light Panel; 48cm x 35.2cm x 1cm (illuminated area 41cm x 28.5cm). Please note: accessories are not included, please see Squidgy Sparkles Sets to order.